Sometimes, when I’m not eating, I like to drink things. And as I’ve gotten older, those things have gotten classier, more sophisticated, and of course, more delicious. 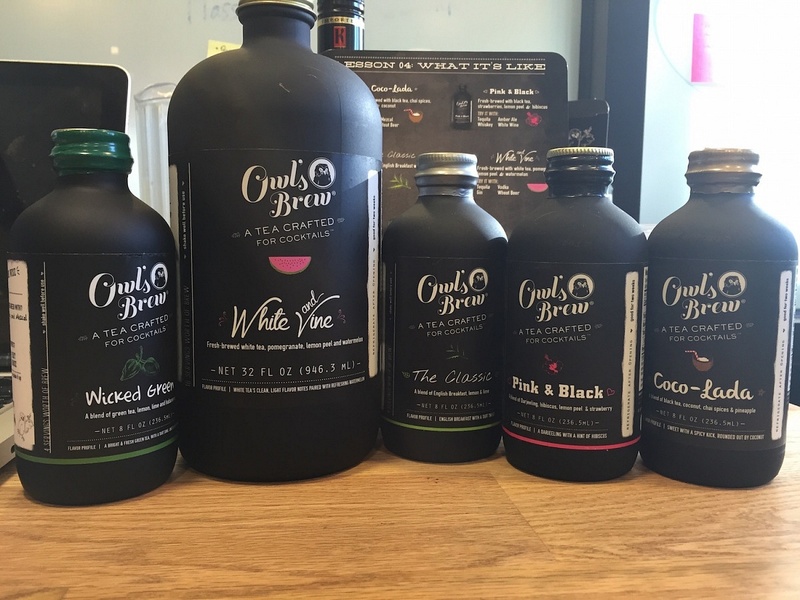 Recently I had this golden opportunity to try a new product called The Owl’s Brew, and I have to tell you, it’s magic. You know that feeling when you’re sitting on a rooftop in the middle of spring, hanging out with your friends, enjoying the sunshine and a nice breeze? 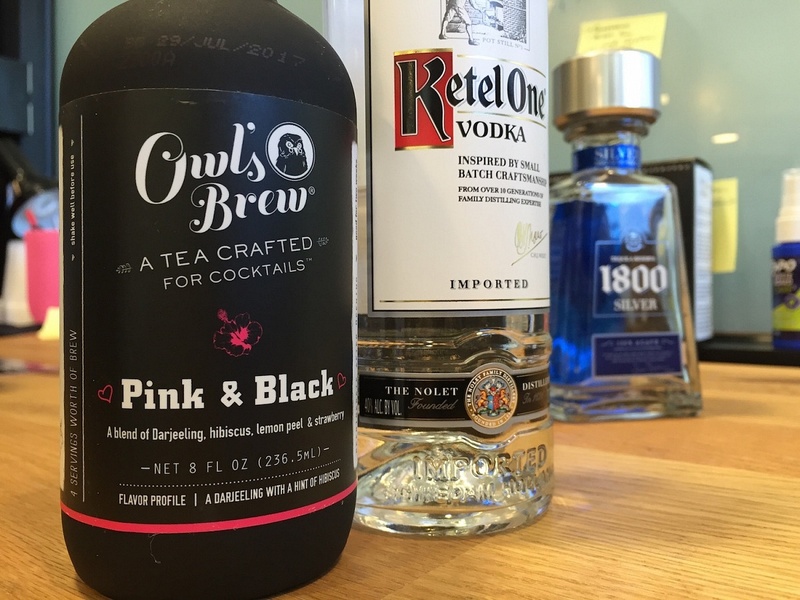 The Owl’s Brew has found a way to bottle that up in a fantastic concoction– all you have to do is add alcohol and you’ve created something beautiful. These amazing beverages are simple, made with tea, water, and agave, and are meant to mix directly with alcohol, so there is no complicated recipes. It’s just one part alcohol and two parts tea. The best part is there’s no limit to the combinations you can make– it’s totally up to you! The first one I tried was the White and Vine, a delicate mixture of pomegranate, watermelon, and white tea, mixed with some Ketel One vodka. Remember jungle juice, and how it tasted so good that it became dangerous? This is like the grown up, natural, classy version of that, except this stuff has no chance of killing you. The second one I tried was the Wicked Green, and ooh is it wicked! It went extremely well with tequila, making a spicy little margarita. Next time I’m going to blend it up and rim the glass with salt, just for fun. Finally, my last taste was the Pink and Black mixed with vodka. I think this one might be my favorite. It’s a little heavier than the others because it’s made with black tea, but it’s so smooth and sweet with a slight earthy flavor mixed in. I’m all about a good mixer but I usually hate how sugary they are, and most of the time I end up with something cheap and sad out of laziness. 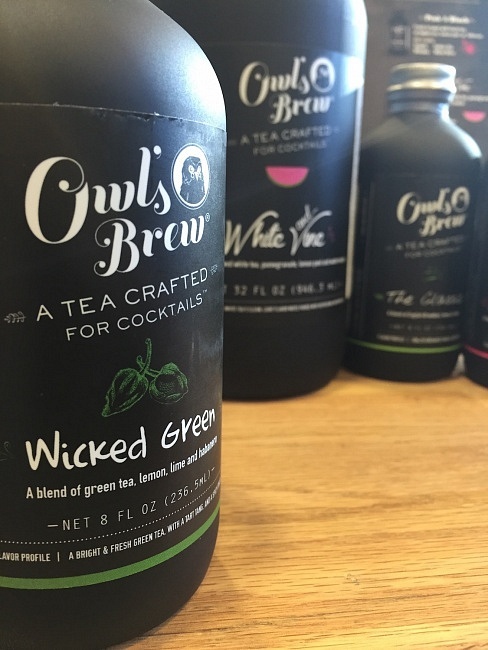 The Owl’s Brew lets me have something tasty and easy, without having to really work for it, and I get to drink something that is made from ingredients I can pronounce and won’t give me diabetes. My favorite part about The Owl’s Brew is the packaging. I honestly can’t get enough of it, and the first time I ever saw the product, I knew I wanted to try it. Yeah, that sounds corny, but it really speaks to me. 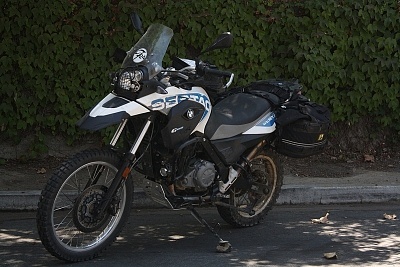 Maybe it’s because I live in Brooklyn now but I’m all about the artistic, hipster yet modern look of their aesthetics. I’m drawn to it, and now that I know how delicious it is too, I’m going to be telling everyone I know.